This last August, we kickstarted monthly park meet-ups for neighborhood families as a way to get to know one another better and to discuss the future of the Mount Vernon Children’s Park. The first meet-up was very successful, with parents and guardians socializing and kids running around the park and playing. From this, a small committee of neighborhood parents formed and began talking in earnest about improvements and additions that could be made to make our park even more fun! Meet-ups continued for the next few months, falling on the third Friday of each month and starting at 5:30pm. While we met in the park for August, September, and October’s meet-ups, the weather is getting colder and the days are getting shorter (don’t forget to turn your clocks back one hour this Sunday! ), so we are moving the winter meet-ups to indoor venues. This month’s meet-up will take place at the newly opened Mt. 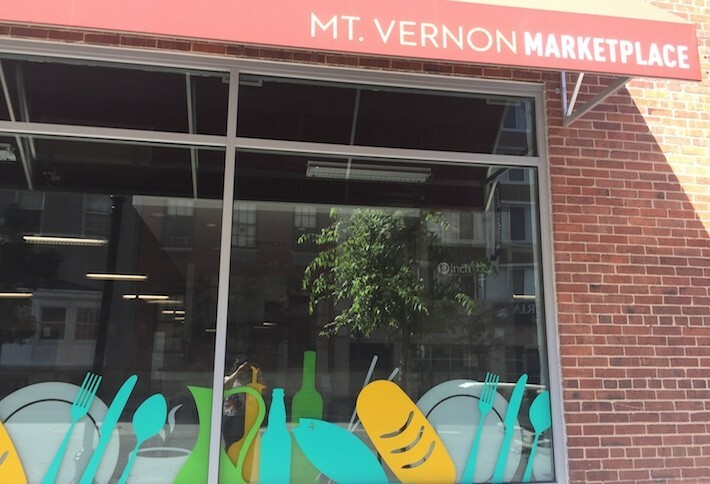 Vernon Marketplace at 520 Park Avenue on Friday, November 20 at 5:30pm until whenever. Come and join us to meet other neighborhood families! And of course, bring the kids! (We’ve contacted the Marketplace, too, to ask about possibly adding a kid-friendly corner where children visiting the market can play or sit, and were told that it was definitely an idea that they would consider based on space considerations–maybe by November 20, there will be one!) The meet-up is casual–just a time and place to hang out. However, if you are interested in sharing your input in the park, finding out about our future goals for the park, or if you want to volunteer, we’ll be discussing those matters, too, and bringing with us a monthly newsletter to share as well as a Playworld Systems playground equipment catalog that you can browse through to see what kind of improvements we might be able to make in the future. 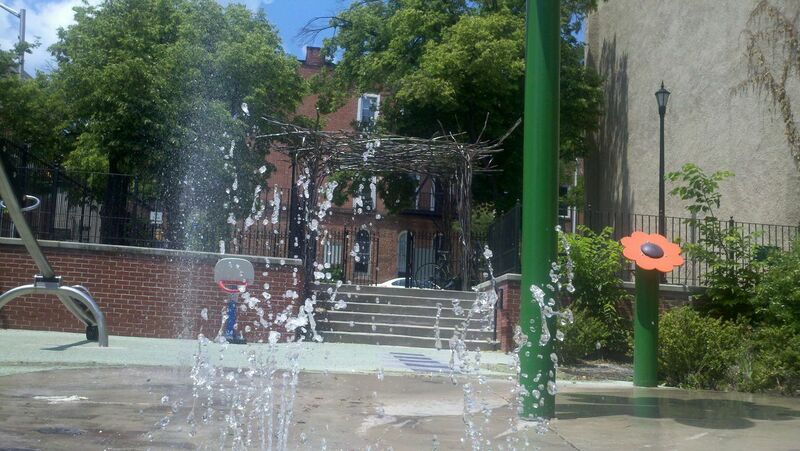 Summer is hot and the Children’s Park Fountain is cool! The fountain at the Mt. Vernon Children’s Park is on for the summer! Special thanks to Susan Warren and every volunteer who helped to lead the efforts to repair the fountain over the past year and David March of D.G. March & Associates who did great work getting the fountain up and running just in time for warm weather. The fountain is child-activated – just hit the black rubber button on the smaller flower. Please help us keep the fountain running and the park clean by clearing leaf debris or other debris from the fountain drains if they are clogged and discouraging children from any playing with sand by the fountain.